Blog carnivals are a great way to connect with others and promote your blog. We hope you will consider joining us as we share ideas and our lives. Welcome to the Simply Living Blog Carnival cohosted by Mandy atLiving Peacefully with Children, Laura at Authentic Parenting, Jennifer at True Confessions of a Real Mommy, and Joella at Fine and Fair. We hope that you will join us on the third Tuesday of each month. Submission deadline will be the second Tuesday of each month. Simple Living means different things to different people. What we all have in common is that we are all trying to concentrate on what is important to us while eliminating those things which clutter our lives and take away from living. Please join us for the Simply Living Blog Carnival each month as we share our efforts to concentrate on those things that allow us to fully enjoy our lives. The blog carnival will occur monthly, with different themes each month. For more information, including a list of themes by month and dates and deadlines, please click on the link. 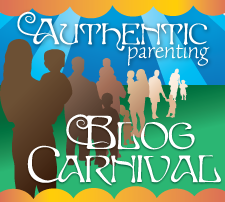 Living Peacefully with Children is happy to join with Authentic Parenting for the Authentic Parenting Blog Carnival! Every month, the Authentic Parenting Carnival will have a themed topic. The carnival will go live on the last Friday of every month, and submissions will be due one week prior to that. For more information, including a list of upcoming themes, dates, and deadlines, please click the link. A monthly blog carnival which focused on families and creativity. This Carnival was dedicated to empowering ALL parents who practice and promote and peaceful, loving, attachment parenting philosophy. 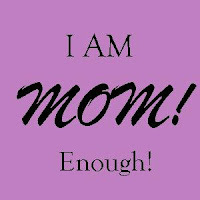 We have asked other parents to help us show the critics and the naysayers that attachment parenting is beautiful, uplifting, and unbelievably beneficial and NORMAL!